6'x12' is the bed size, not the frame size. 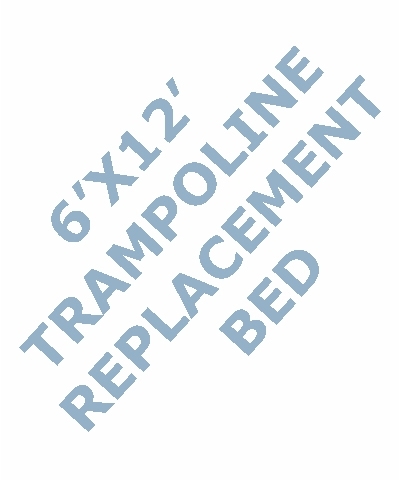 The 6x12 Trampoline Replacement Beds are available in 2 types-Single Poly and High Performance. 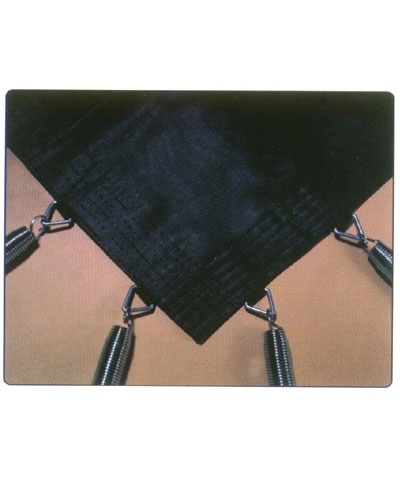 The standard Single Poly bed is a tight weave of polypropylene yarn and has 96 bed bars or spring attachments. 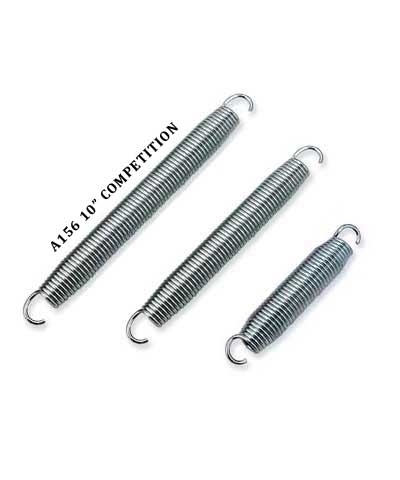 Add $40.00 shipping. The High Performance bed is a looser weave of polypropylene yarn which allows more air flow, providing a better bounce. The HP Bed has 96 bed bars and 4 corner rings which require 8 springs. The bounce of the HP bed is between the standard single poly bed and a string bed. The HP High Performance bed is for gym club use only and will not be sold for home use.Add $45.00 shipping. 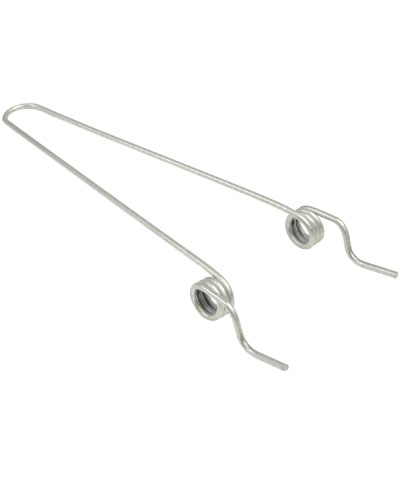 A 40" clearance is required for single poly beds and 48" clearance for HP or string beds.